Comments Off on Career Fair Wednesday March 4th! 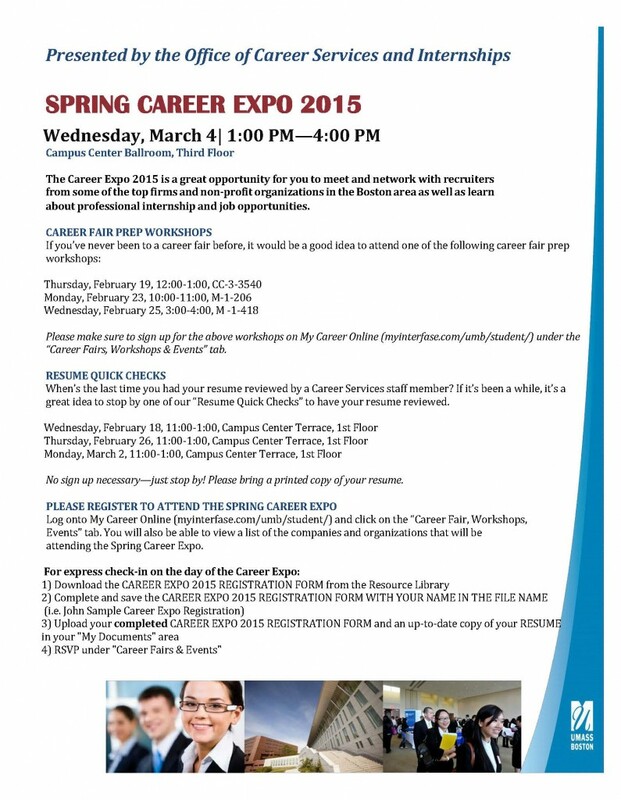 Career Fair Wednesday March 4th! Comments Off on Interested what could be the future of automotive technology? 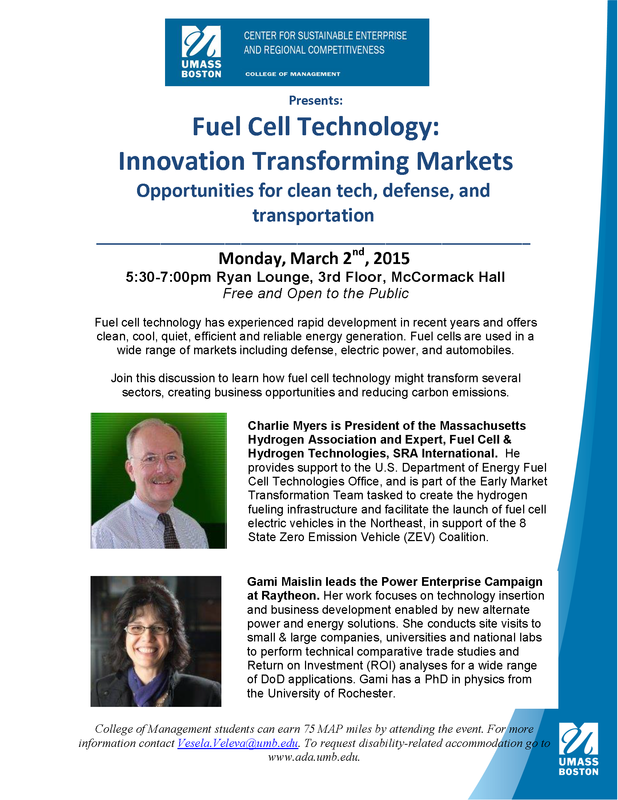 Interested what could be the future of automotive technology? Please see below for the MAP events for the week of February 23rd 2015. See the MAP Portal for more details. Are you graduating in May 2015 or August 2015? Are you looking to check that you are on track to graduate? Submit a request for a Graduation Quick Check online! You can find the request form on our Student Resources page. Prefer to have a Graduation Quick Check in person? You can do that too, coming up at the beginning of March! Stay tuned to the Blog for more information! Comments Off on State Street Scholars Application Deadline Approaching! State Street Scholars Application Deadline Approaching! The State Street Scholars program deadline is fast approaching! Interested in a paid year long internship? Interested in learning about the financial services industry? Check out the program and apply! Deadline is February 19th, so don’t delay! U.S. Citizenship or Permanent Resident of the U.S. Please note, State Street Scholars are required to take a specific section of AF 480 (the internship course), in Spring of 2016. This course has been historically offered at night or on Saturdays, so please plan ahead. The MassMutual Scholars Program is a national scholarship program for high-achieving college students interested in pursuing careers in the insurance and financial services industry. The application deadline is March 31, 2015 4:30pm, Central Time. Will be entering sophomore, junior, senior or 5th-year senior year in pursuit of an undergraduate degree at an accredited college or university. Plan to attend a degree-seeking program, full-time at a U.S. accredited institution in the U.S., Puerto Rico, U.S. Virgin Islands or Guam during the 2015-2016 academic year. An interest in pursuing a career in the insurance and financial services industry. Leadership and participation in extracurricular activities. Must complete and submit for federal financial aid by completing the Free Application for Federal Student Aid (FAFSA) at www.fafsa.ed.gov. Must show proof of U.S. citizenship or legal permanent residency with a permanent resident card or passport stamped I-551 (if selected). A total of $150,000 in scholarships will be awarded for the 2015-2016 school year. Selected students attending accredited 2 year and 4 year colleges/universities will be awarded $2,500 or $5,000 respectively. If you meet this criteria, please consider submitting your application before the deadline. To learn more, check out the Frequently Asked Questions page. The following are the MAP events for the week of 2/9/15, please see the MAP portal https://cmstudents.umb.edu for more information. Please see UMB.edu for any possible weather related University closures. If the University is closed, no MAP events will occur that day. Monday, February 2 was the last day to be able to add a course for the semester, or to be able to drop a course without a “W”. If Wiser shows that you are still on a wait list for the spring semester, you can either drop yourself from that wait list, or not – it actually doesn’t matter at this time since Wiser will no longer be adding students to courses from the wait list through it’s automated process. If you are still on a waitlist, you should also stop attending that course (if you haven’t stopped already). The next chance to register for classes that you might not have gotten into this semester is on Monday, April 6 for Summer 2015 and Fall 2015 courses. Best wishes for a great spring semester! The add/drop period was extended to today, Wednesday, February 4, 2015 due to the blizzard and campus closings last week. There is no additional extension due to the snowdays we had this week. The College of Management Undergraduate Program Office has also extend our all-day advising walk-in schedule until this date; appointments will resume on February 5. Our online registration forms for CM courses will be live until 11:59 PM tonight – the same time that you can make registration changes on Wiser on your own. After that time, our office will need instructor permission to enroll you in any CM course. If you submit the registration form before 11:59 PM tonight, we will honor that time stamp and proceed with your request as space and eligibility allows. If you have any questions about your spring registration or enrollment details, please speak with your advisor.